Why pick an Ayurveda Treatment or Ayurvedic Retreat? Why get Training in Ayurveda? Why pick a Yoga or Yoga Retreat? Why get Training in Yoga? 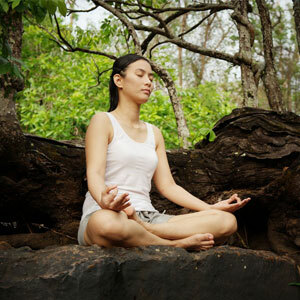 Kairali-The Ayurvedic Healing Village offers introductory courses on Yoga and also allows guests to experience the yoga retreats by our experienced Ayurveda and Yoga therapists. The different postures of Yoga have different usage. Mastery over the discipline can be attained by regular practice and also a sense of worship for the discipline. Kairali Ayurvedic Group offers a series of training programs and diploma courses for beginners as well as professionals so that they can gain mastery in their field. Yoga is not only an art but a way of life in itself. It teaches not only the postures but also teaches how an individual can attain peace within oneself through Yoga and meditation. Various yoga retreats are also entertained by Kairali where people from all over the world unite together and march towards a united world of peace.